IDW Games is offering another licensed Sonic The Hedgehog game, Sonic The Hedgehog: Dice Rush, on October 24. In this real-time racing game, players try to roll their dice to create combinations that match cards which display parts of the levels from the classic video game Sonic The Hedgehog, using those cards to build their own level map. Cards are limited though, and some award bonus points while others apply penalties, forcing players to be quick if they want to maximize their score. 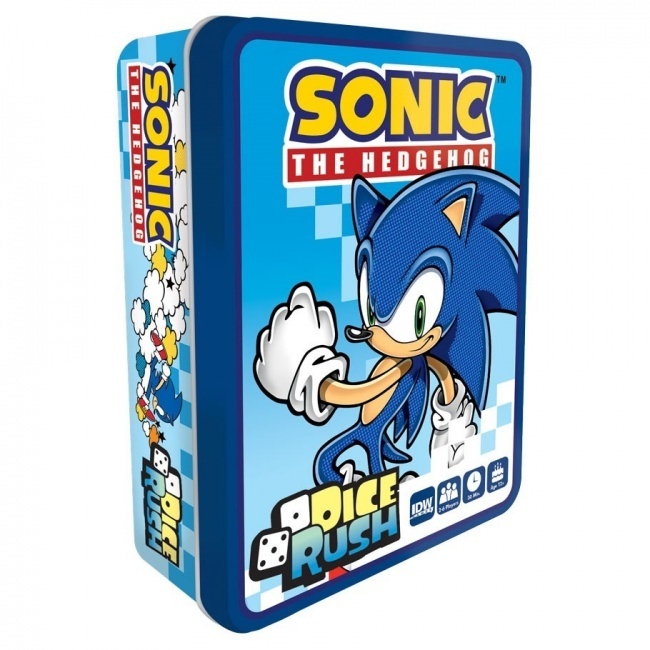 Sonic The Hedgehog: Dice Rush includes 21 dice, 60 cards, and 15 tokens, packaged in a metal tin featuring the iconic character. It is intended for 2 to 4 players, ages 8 and up, and plays in under 20 minutes.